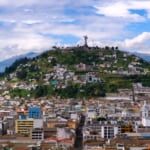 Standing 9,000 feet above sea level, the city of Quito, the capital of the South American country Ecuador is one of the highest capital cities in the world. 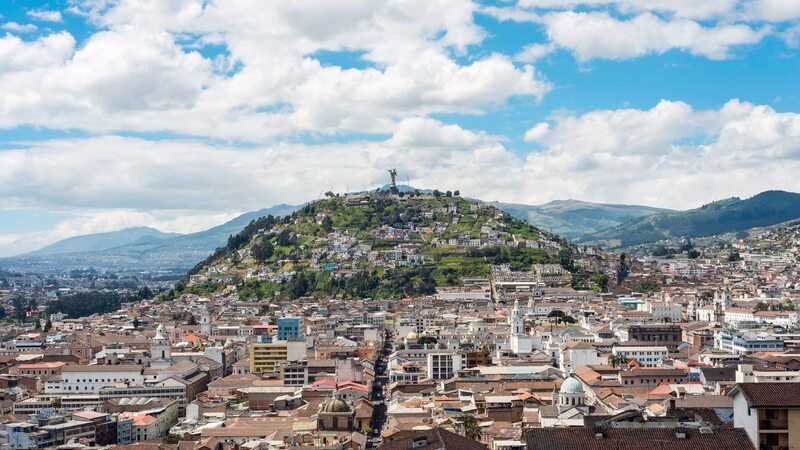 Today's Quito was built upon an ancient Incan city. Located in the Guayllabamba river basin and on the eastern side of Pichincha which is an active volcano in the Andes mountains, Quito is famous for it's well preserved colonial center and the blending marks of European, Moorish and indigenous styles. 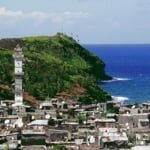 If you have been wondering what can be seen in the capital of Ecuador then here are some very important attractions to visit. Vamos! The Virgen de el Panecillo is one of Quitos most recognizable landmarks. 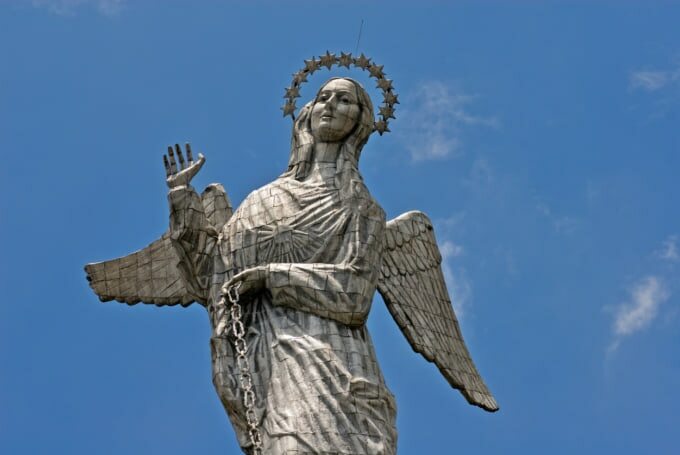 It is said that this statue of the Virgen de el Panecillo is facing the north to bless those who live there and her back is turned to the south explaining the wealth differences between the two sides of Quito. This statue is also guarding the historic streets of Quito's old town. The road to the statue of the Virgen de el Panecillo is winding around the hill called El Panecillo. Visitors can walk up to the top of the hill and look down to the amazing view of the city below. Everyone says nobody can be at two places at the same time. But that is not true at all. 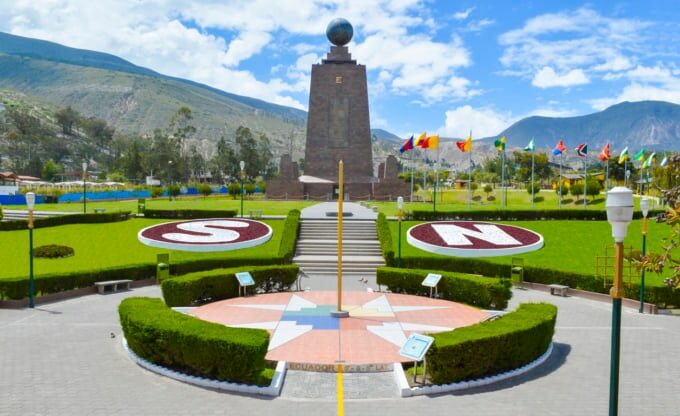 If you ever wanted to be two places at once then it is very possible to do so at the Mitad del Mundo in Quito. 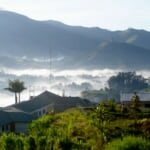 Ecuador got it's name from the equator line which sits just a little north from Quito and it is one of the most attracted places in the country. Visitors can enjoy being at the same time at two places but also shops and restaurants are available for anybody that visits the Mitad del Mundo. People can also eat authentic Ecuadorian food and watch a traditional Ecuadorian dance performance. 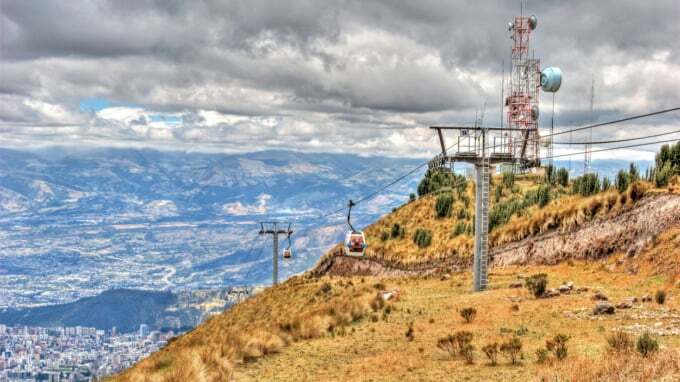 The Teleférico sky trail is the best way to get up to the Pichincha volcano, which stands above the city. The view from here is probably one of the top attractions in the city. The rail begins from an amusement park called Vulqano Park located on the side of the mountain. 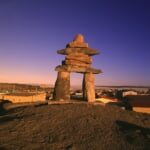 Visitors can enjoy fun activities such as horseback riding, enjoy the food at the restaurant or admire the breathtaking view at the lookout point. For those who would like to take the experience a notch up, there is a trail to the Rucu peak of Pichincha which can be hiked. Plaza Grande, also known as Plaza de Independencia lays in the center of Quito's Old Town. 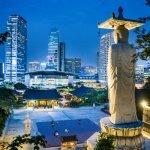 This Plaza is constantly full of activities, sometimes it gives place for political activities but mostly it is popular for tourists from all around the world. In the center there is a monument to remind everyone of the Independence of Ecuador. Tourists can see The Presidential Palace of Ecuador overlooking the Plaza. There are many restaurants to choose from at the Plaza Grande and the Hotel Plaza Grande can be seen as well. 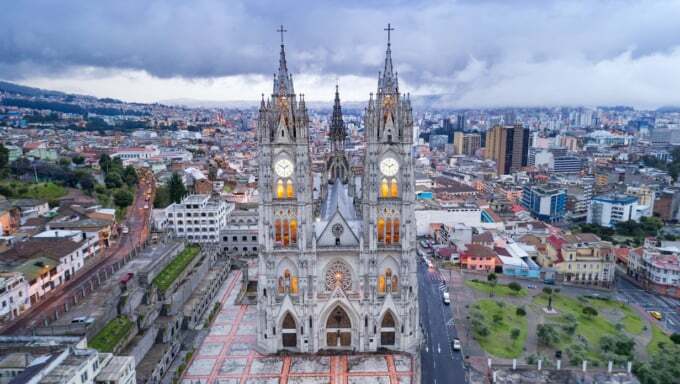 Basílica del Voto Nacional, translates to Basilica of the National Vow is yet another famous landmark to discover in Quito. 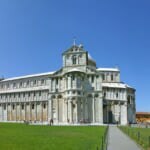 Located in Old Town this Basilica gives an extraordinary experience to it's visitors. Tourists can climb up in the twin towers, up to the clocks and admire the architectural beauty. Interesting things to look for is the colorful stained glasses and the gargoyles are all replicas from animals living on the Galapagos Islands. During the tour the Basilica de el Voto National may seem incomplete but as people say, when the Basilica is complete the world ends. However Ecuadorians are in no rush to finish this attraction sight. This neighborhood in Quito has a hipster vibe to it and it can be felt throughout the streets, trees cafe shops, galleries, graffiti and an artisan brewery. La Floresta is not a usual tourist spot but it is worth a visit because it is a part of Quito's culture and it is fun to explore places like La Floresta. The hipster neighborhood is also home to an indie movie theater, Ocho y Medio, and an abandoned house which sits right across from a cafe. The Street of Isabel la Catolica and Avenida 12 are great places to eat, they offer a large variety of different kinds of restaurants. For music, La Floresta is the best place to come for they offer live music that people can enjoy. Free from Quito's busy hustle, Guapulo is a quiet place in the city and it's a great get-away. 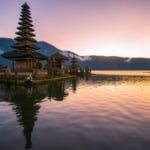 It has a peaceful bohemian feeling and visitors can enjoy walking up and down the winding streets and admire the beautiful view. Visit the church of Guapolo, and enjoy your walk on the cobblestone streets while looking at the exceptional architecture. The church is open to anybody who would like to see the ornamented building. The restaurants on your way offer authentic food and you can choose from the best ones. A trip is not complete until you check out the nightlife of Quito. 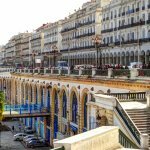 The Plaza Foch is a perfect place for all night owls and party lovers. 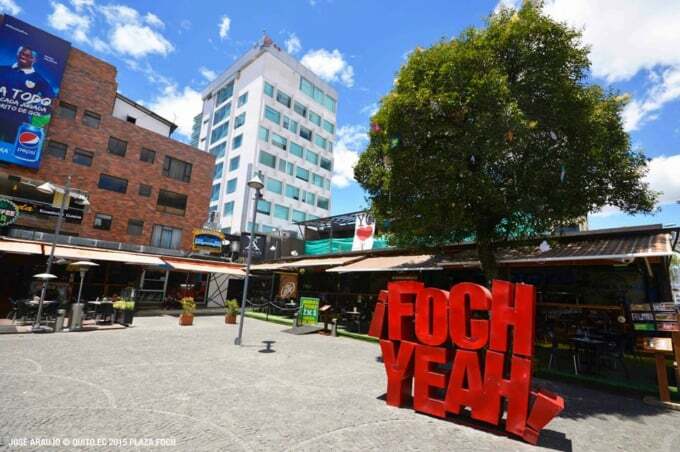 Ecuador is very famous for it's party spirit and a party on the Plaza Foch will be one for the books. La Plaza Foch is surrounded by hotels and restaurants which provide a lovely stay for travelers. Bars, Pubs and clubs are open until around three in the morning, so everyone can enjoy their time there. 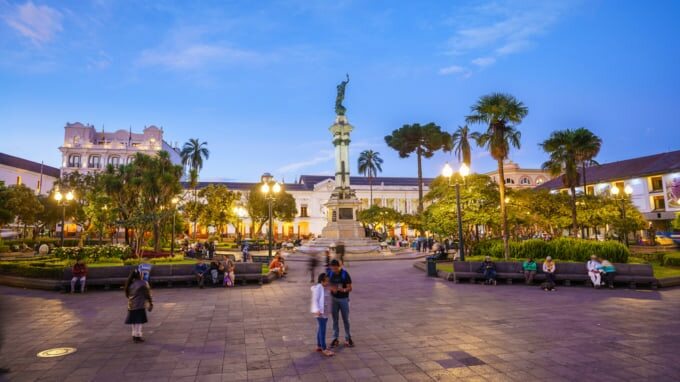 During the day, a few blocks away from the Plaza Foch, there is an Artisan Market where locals have Ecuadorian art and traditional Ecuadorian goods. 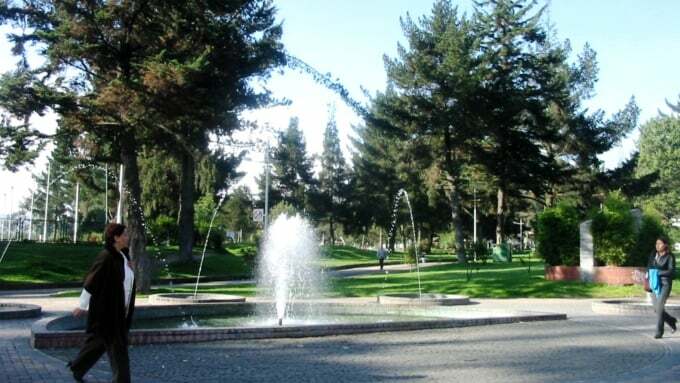 Quito's "Central Park", the Carolina Park is a popular get together place. Many families go there to enjoy a good relaxing time after work. 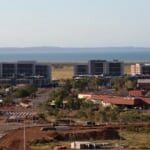 There are many activities that can be done in this huge park, such as playing soccer, picnic, paddle boating is a popular and fun time passing as well as taking a walk. The Carolina Park is full of surprising places. The park is home to a playground which was turned into a playground from a plane, visitors can enjoy an exotic botanic garden or a reptile house. Skaters, take your skates because Quito's "Central Park" also has a skate park in store. 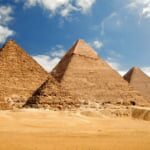 If this wasn't already enough, the park features a planetarium and even a small museum. The city of Quito never runs out of parks. Here we have another very fun and iconic park to visit. The Parque Itchimbia located high on a hill right above Old Town gives another chance for tourists to have another marvelous view of Quito. This grassy park is home to the big orange Quito sign where tourists can go and take pictures in memory of their trip to Quito. 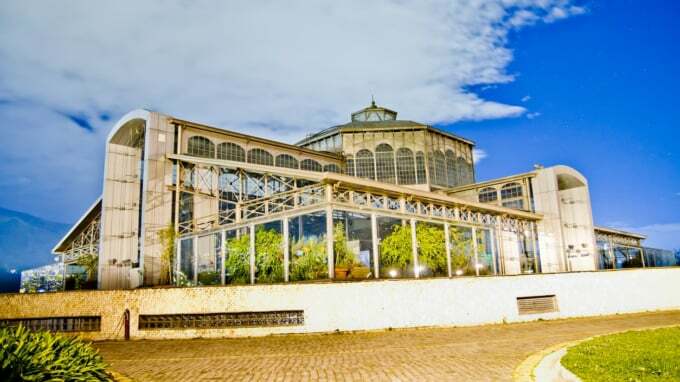 The glass house in the park is a place which has a museum inside and occasionally hosts events. This park features a walker friendly trail as well as a playground for kids. The capital of Ecuador is a very beautiful city for a trip. Visitors who chose Quito as their destination will leave with a handful of cultural experiences under their belts. 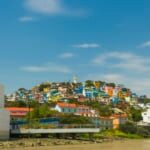 Not only they excel in serving authentic Ecuadorian food, the city provides many lookout points which makes it easier for tourists to get to know the place. From folk dance, to music and Ecuadorian art, it can all be found in the heart of Ecuador. 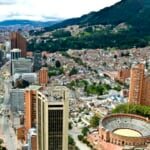 Quito has many more fun places to visit and if this wasn't enough of the fun then tourists can experience the lively nightlife of Quito.